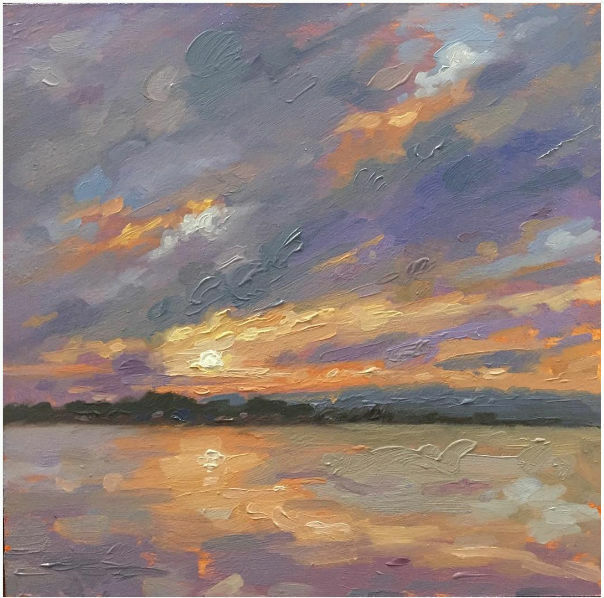 Glen Cove, NY--Hersh Fine Art, of the Long Island Academy of Fine Art, is pleased to present an exhibition of plein air paintings by Robert Armetta. The exhibition will be on view from October 8 through November 1, 2016. The artist will be present for an opening reception on Saturday, October 8, from 6pm to 8pm. The exhibition is free and open to the public. The plein air landscape paintings of Robert Armetta are elegant, clear, and bold. A slight departure from the meticulous and highly polished compositions of his studio paintings, this new body of work has been made with a spontaneity and delight that are easy to perceive as a viewer. The exhibition includes a mixture of urban and rural landscapes, both a nod to his New York upbringing, and marking a new chapter in his life; Armetta recently relocated from New York City to be along the Susquehanna River in Pennsylvania. Painting a landscape from life-- life that moves and changes--is entirely different from painting in a studio. The painter must keep up with the changes of the landscape itself, requiring one quick, confident decision after another throughout the painting’s creation. Because plein air painting involves a certain speed and decisive execution, it gives a glimpse into the artist’s unique creative process. What we see is Armetta’s instinct as a composer of art. His compositional decisions, color choices, and paint handling are in many ways a summation of his direct experience painting in the open air. Like a distant mountain clouded in violet atmosphere, the conscious mind fades as intuition comes to the foreground. Robert Armetta currently resides in Harrisburg, PA, and is the founder of the Long Island Academy of Fine Art, in whose gallery this exhibition is being displayed. Chasing Shadows will run from October 8 through November 1, 2016, with a gallery reception on October 8 from 6-8pm. For details please refer to www.hershfineart.com or contact Rebecca Forster at 516-590-4324 or info@liafa.com.